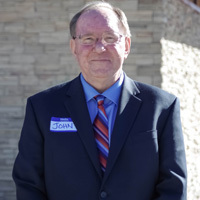 John has lived in Colorado for over 45 years and graduated from CSU with a Horticulture degree. After spending seven years in Florida where he obtained a degree in Psychology from UCF he and his wife, Carrie, eventually returned to Colorado. Recently certified, John has taken to legal videography with the same enthusiasm he takes to riding his motorcycle/atv in the mountains. When you need court reporters in Denver, Boulder, or Colorado Springs; choose the top court reporters at Hansen & Company. We provide professional court reporting services with highly skilled court reporters. Our court reporters ufse the latest technology in real time court reporting to video court reporting. Read some of the bios below of just some of the experienced court reporters that work for Hansen & Company. 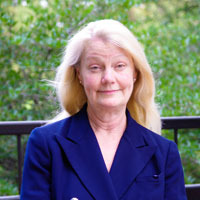 Joann Hansen, CRR, RPR, CLR. 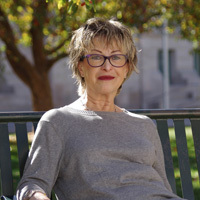 Joann began her career at Park Spangler. She then decided to seize her entrepreneurial spirit and open Hansen & Company in 1993. Thanks to the support of an amazing, talented client base of the most prestigious and respected clients, as well as the state’s top reporters, Hansen & Company, Inc. has grown and flourished. Joann specializes in technical, medical and Realtime reporting. Remembering her roots, Joann has learned that no job is too small, nor too large, they deserve equal quality service and professionalism. Joann has developed and grown Hansen & Company to possess the niche of specializing in custom services that will suit the particular need of anyone, while striving to exceed all expectations. 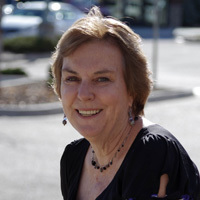 Suzanne Reid, RPR, CSR, CLR. A few years graduating from Stanford with a degree in Psychology and had worked in every imaginable field including retail, personnel, banking, and counseling. Suzanne ran into a court reporter friend who suggested coming to work for her as an office manager until she started grad school. Bingo! She’d found her career as a court reporter. Suzanne managed the firm in CA for almost 10 years before deciding to become a court reporter herself. In 2002, she received her California CSR license as well as her Registered Professional Reporter license. She worked in California until 2008, when she moved to Boulder with her husband and two boys. Suzanne is passionate about court reporting, specifically reporting technical and more complex litigation topics. 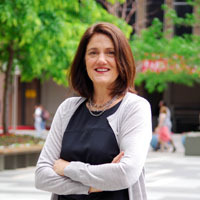 Carrie Arnold, CRR, RPR, CLR. 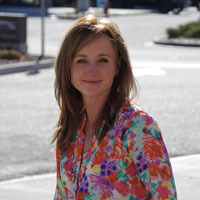 Carrie was born and raised in Billings, Montana. 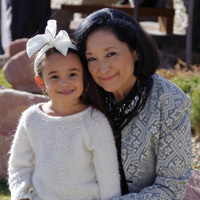 She graduated from Denver Academy of Court Reporting in 1985 and has earned her RPR and CRR certification. After about one year of Court Reporting, Carrie became a Paralegal and in 1996 she became a scopist (editing transcripts) so she could be with her family. Carrie returned to Court Reporting in 2000 and loves the “people” aspect. In her free time, Carrie loves to cook and spend time in the mountains. Doreen was born in the Philippines. She moved to Honolulu, Hawaii, when she was 14 years old. She pursued an education in court reporting after she met and talked to other reporters while working at a law firm as a receptionist. In 1999, she graduated from Metropolitan College of Court Reporting in Phoenix, Arizona. She worked as an official court reporter for Maricopa County Superior Court in Phoenix for five years. In 2005, Doreen moved to Charleston, South Carolina, where she was employed as a freelance reporter for approximately one year before making the decision to stay home and raise her children. 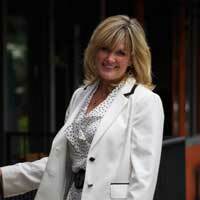 Doreen now lives in Colorado, and in August of 2013, she resumed her career in court reporting with Hansen & Company. Doreen enjoys camping, hiking and cooking in her spare time. Mary graduated from the American Institute of Business in 1976 with an associate’s degree in business with a major in court reporting. She began her career in Des Moines at Johnson, Huney & Vaughn, she moved to Denver in 1982 and joined Hyatt & Associates for over 20 years. Her career has encompassed all aspects of reporting, including doing closed-captioning for KUSA for three years. Mary enjoys spending time with her dogs and going out dancing. Melissa was raised in Colorado. After majoring in accounting at Metro State, she discovered court reporting. 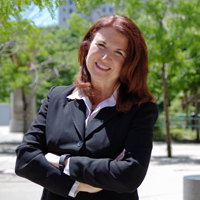 Melissa graduated from Denver Academy of Court Reporting in 1999 and has her RPR certification. Melissa has enjoyed working in the court reporting field and enjoys the diversity of every deposition. There’s always something new to learn in the legal field. In her free time she likes to travel, cook, and spend time with family and friends and dog. 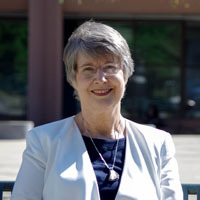 Joanne began court reporting school after graduating from the University of Washington. She thought she would do it for a few years and move on. After several decades of court reporting, mostly in Colorado, she is enjoying it now more than ever. She loves meeting new people and the constant challenge of producing a great transcript. Joanne is very grateful to have achieved balance in her life. Along with continuing with a wonderful career, this year she looks forward to a trip to Morocco, continuing to learn Italian, reading lots of books (mostly nonfiction), welcoming twin grandbabies into the family, and always being outside in Colorado. Haley decided to follow in her mother’s footsteps and become a court reporter after she was on jury duty in 2012 and really enjoyed the process. She loves being able to learn something new every day and the people she meets along the way. On days she is not working, Haley enjoys spending time with friends, hiking, and cooking. Having received her bachelor’s degree in Art History from CU Boulder in 2010, she also enjoys keeping up with the Denver art scene by going to exhibits around the city. 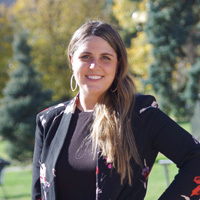 After graduating from the Denver Academy of Court Reporting, she pursued officialship work in 2008, traveling to La Junta to get her start; then transferred to Colorado Springs to move closer to the Metro area where all her family resides. Jessica started adding freelance work to her life in 2010. Pursued and obtained her Federal realtime certification in 2013. Jessica Spends her free time entertaining her twin toddlers (which is probably more than two full-time jobs put together), baking, and enjoying the outdoors. 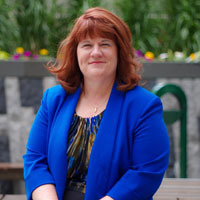 After graduating from Denver Academy of Court Reporting in 1992, Sundae began her 24-year career as an official with the Fourth Judicial District Court in Colorado Springs. In November of 2016, Sundae joined the team at Hansen & Co. to begin her new adventure as a freelance reporter. Sundae enjoys spending time with her family, riding her horse, boating, and traveling to her favorite island in Mexico. Diane grew up in Norfolk, Nebraska, and like a lot of young Nebraskans always said she’d live in Colorado someday. After a five-year detour to Miami, Florida, where she went to court reporting school while working as a court clerk in Dade County, she started her court reporting career in 1978 as an official working with the same judges she had worked with as a clerk. Then in 1980, she finally got her chance to move to Denver, and started working as a freelance reporter for Eileen Hyatt. She sees court reporting as a career where she can be a perpetual student, usually not knowing what she’s going to hear about from one day to the next and, if nothing else, learning about how people handle difficult situations, hopefully with grace. In her free time, Diane spends time with her 23-year- old son Eric and many grown nieces and nephews who have wisely chosen to move to places she likes to visit, including Toronto, New York City, Phoenix, and Santa Barbara. She currently shares her home with three dogs, one planned and two rescued. She is grateful to have found the right niche at Hansen & Company and is proud to work with Joanne and her amazing group of reporters and staff, especially enjoying medical malpractice, construction defect, and court and arbitration assignments. Christina is a United States Marine Corps disabled veteran, mother of one daughter and son-in-law (both are Marine Corps Veterans), grandmother of 3 humans and 2 canines! Her work background has been in the insurance industry; commercial real estate; funeral services (admin. Part), and for the last twelve years, has worked as an administrative legal assistant/paralegal in trusts/wills, criminal, civil litigation and workers’ compensation. Hobbies include: Reading, knitting, cooking and indoor gardening. 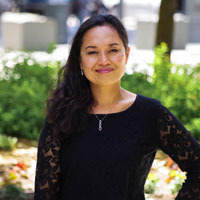 Moon grew up in Colorado, but moved to Salt Lake City and pursued her degree in Business Administration at the University of Utah. 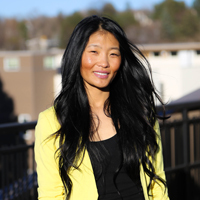 Previously she worked as a paralegal and then transitioned to become a legal videographer. She has worked in this industry for the last 5 years and recently moved back to Colorado. In her free time, she enjoys traveling, photography and staying active. Bety Ziman is a United States Courts Certified Interpreter. She provides interpretation and translation services for both Federal and State Courts. She also provides interpretation and translation services for government agencies, the private legal sector, nonprofit organizations, marketing firms among others. The service she provides reflects the logo of her business; interpretation and translation is truly an art and a science. Her verbal renditions are seamless and provide a flow of communication between the parties. All her translations are certified and accepted in all the courts in the land.